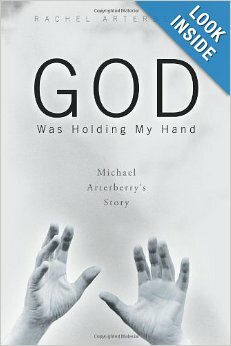 God Was Holding My Hand - Michael Arterberry's Story - Youth Voices Center, Inc.
Did you ever have the feeling that God was with you, sitting beside you, and walking with you? For Michael Arterberry, experiencing God’s presence is a daily occurrence and one that has brought him through some of life’s toughest moments. Inspiring and motivational, God Was Holding My Hand shares Michael’s journey of coming to know the Lord. From his tumultuous childhood with a distant, complicated father to the day in 2001 when he accepted Christ as his savior-and every day since-he shows how he came to put his faith in God and accept God’s plan for his life. Written in a conversational style by his wife, Rachel, Michael’s narrative explores the highs and lows of life and how Michael met God in each one. From his marriage to Rachel and his volunteer work at a local prison to a foot injury that turned into surgery on his spinal cord, events drew Michael closer to God at every turn, with the awareness that He was holding his hand the entire time. His compelling testimony calls Christians to look deeper into their relationship with God and to trust that He has a Divine plan and purpose for their lives.